Dimensions 7 in. x 7 in. x 5 in. Every 15,000 miles or annually, either as a stand-alone service or in conjunction with Run-Rite or Zoom multi-step fuel system cleaning. A revolutionary way to clean the throttle body, throttle plate, and intake track. 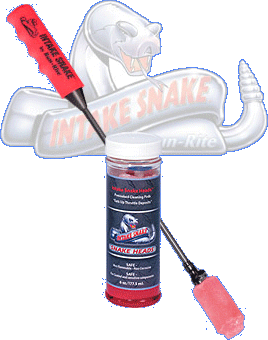 The Intake Snake Tool's comfort grip handle and flexible shaft provide easy access to difficult-to-clean throttle bores. 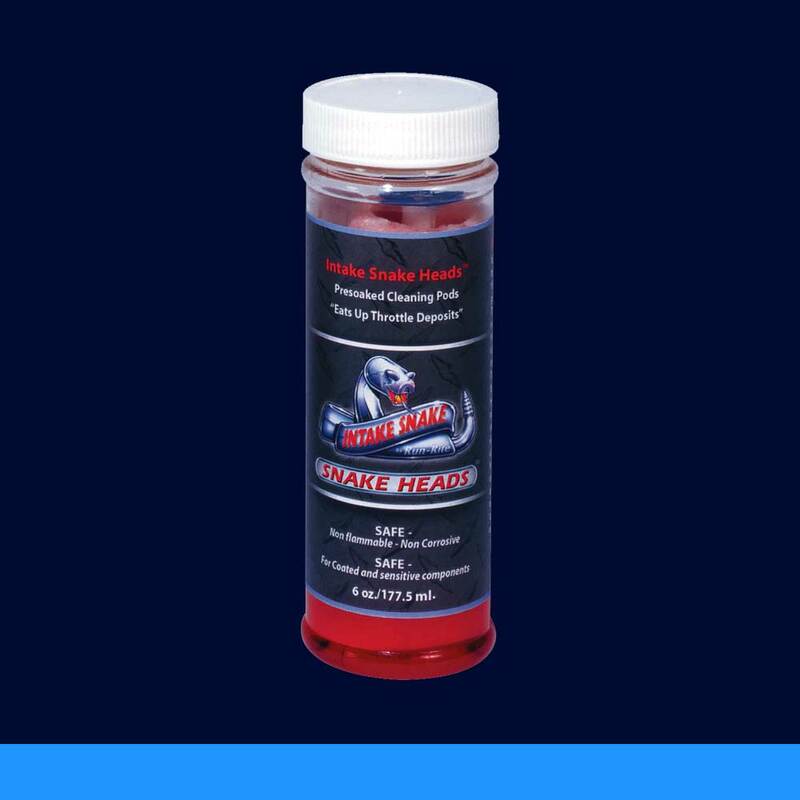 The Intake Snake "Heads" are disposable, pre-soaked cleaning pods that are designed to easily attach to the end of the tool, and are formulated to "eat up throttle deposits." Non-Flammable. Non-Corrosive. Disposable in an ordinary trash receptacle. The Snake is EASY TO USE! Safe for coated and sensitive parts.